Tools for measuring the scope and scale of organised crime in Africa are limited. Current assessments are largely done at the national level, often appraising criminal threats in ways that don’t meet the needs of policymakers, who are increasingly seeking integrated responses to the challenge. A better evidence basis is urgently required for states and key actors to effectively monitor, analyse, prioritise and address the threat presented by organised crime in a systematic and sustainable way. The ENACT Organised Crime Vulnerability Assessment Tool will provide a multi-dimensional measure of organised crime and its impact, allowing key actors to develop effective strategies. To be published for the first time at the end of 2019, the Vulnerability Assessment Tool will be informed by a baseline assessment that identifies the availability, quality and relevance of continental data, as well as priority data gaps. The Assessment Tool will be made accessible via an interactive platform on the ENACT website. It will be complemented by a flagship annual report, which will be used to sensitise policy makers. 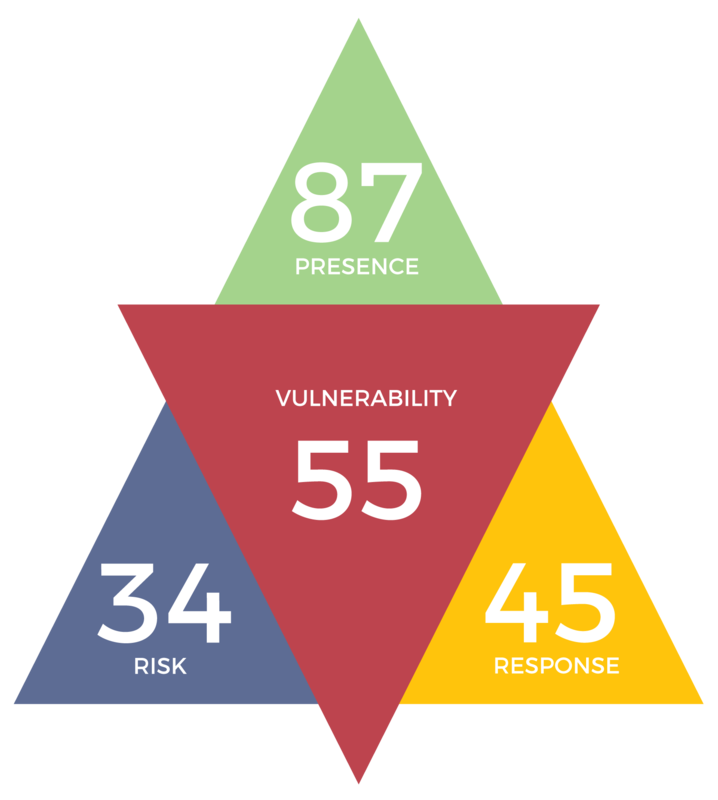 The juxtaposition between these three metrics will be analysed to develop a cumulative score for each African state, indicating that state’s vulnerability to organised crime threats. PRESENCE: The first of the three composite indices concentrates on the presence of organised crime. Particularly, this index will serve as longitudinal study, aiming to show how organised crime has evolved and its current state – which may eventually provide insights into its future evolution. This is intended to be used as a tool that allows stakeholders to refine their efforts in combatting organised crime. The information derived from the Presence Index for each African state will be depicted in a ‘flower’ that combines scores for each crime type in a single portrait, which may be used to depict trends over time. RESPONSE: As a third index, state capacity and political will are to be measured, based on the awareness and understanding that states demonstrate in the fight of organised crime, whether they have appropriate legal, political and strategic frameworks to address organised crime, and whether they are achieving actual results. This index will also assess state actions to combat organised crime, noting that capacity and will are precursors to actual strategic policy implementation. One component of the Assessment Tool includes the Data Dashboard, which will provide a comparison of two overall primary metrics, namely the presence and the impact of organised crime. 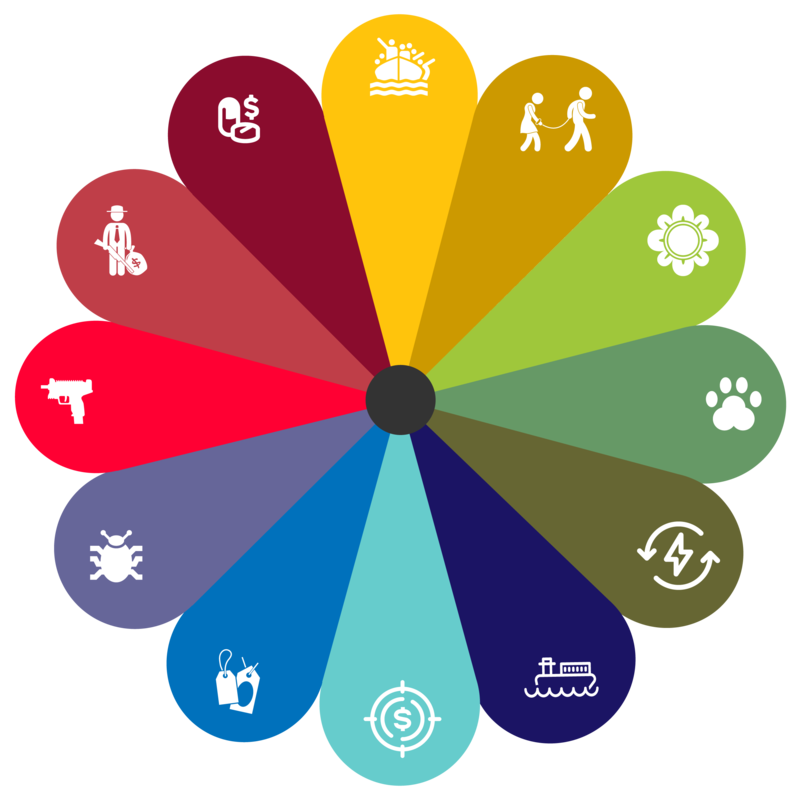 IMPACT: The Dashboard will also provide crime-sensitive indicators to assess the correlations in five impact areas: security and violence; economic; social development; environment; and governance and democracy. Each of these impact areas will be comprised of a number of components to which a user may choose a crime type (or subset) and see its impact in the selected area. For example, ‘human smuggling’ may be viewed as it correlates to ‘gender-based violence’; or ‘terrorism’ components of the ‘security and violence’ impact area.